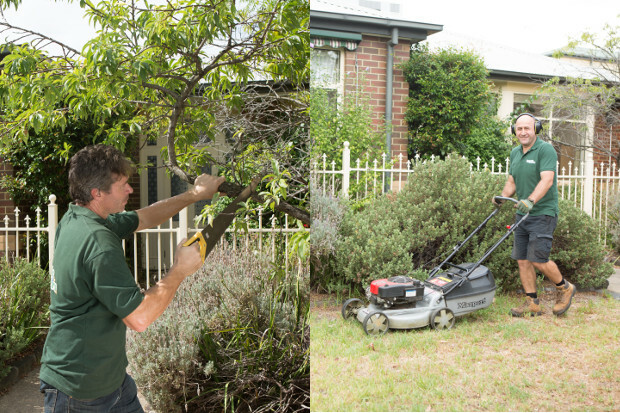 Paul’s Mowing Melbourne is a local company providing lawn mowing and garden maintenance services to all residents and property owners in the area. Initially, we started offering mowing services alone. Over the years, however, our business grew and we developed more services, so we could give customers exactly what their gardens need. As а professional service provider, our company strives to make garden care and lawn maintenance as easy for you as possible. We’ve been in the industry long enough to know the needs of our clients and make everything in terms of delivering the desired results each and every time. Our customers deserve exceptional service and for this reason, in addition to the top quality mowing, garden upkeep, fertilising, mulching, weeding, and hedge trimming, we provide some other benefits such as free quotes and simple-to-use online booking form. All technicians who work with us have undergone hours of training and years-long of experience, so they can tackle each lawn maintenance job, leaving the front or backyard of your property in excellent condition.The lawn experts are fully insured and are equipped to cope with everything in their path. No matter if you need weeding, mulching, fertilising or just mowing, we offer you great flexibility. Being specialist in general garden maintenance as well, we can assist you with cutting the overgrown hedges and bushes, so they contribute to your garden’s good look. For each client has different preferences we’re ready to offer services customised in accordance with everybody’s specific needs and wishes. Contact us and request a service for a time convenient for you – weekdays or bank holidays and weekends with no extra charge. To make it easier we provide few ways to get in touch with us. If you’re in a hurry and would wish to book a service for the same day, feel free to call us and arrange everything in just a few minutes. If you haven’t got the time to talk to us on the phone but still would like to place your enquiry, you can use our online chat. Alternatively, you could easily schedule an appointment by using our online booking form. It’s convenient and easy to use, so you’ll have your order placed in a matter of minutes.